Oban is a popular town and port in the West of Scotland. It is one of the main ports to the Hebrides and is a beautiful spot for either a day trip or a breakaway. There’s something for everyone, from amazing wildlife to famous Oban malt whisky. Here are some of the top things to do in Oban. The distillery produces Oban malt whisky and has been for some time now. The distillery was first established in 1794 and is located near the coastline. It offers a variety of whisky tours and tasting sessions to suit all budgets, with the tours pricing from around £10-£75. Custom tours are also available on request. The Inner Hebrides are home to some of the best sea life in Scotland. This includes the presence of seals and basking sharks in the ice cold water. Luckily, there is a way to explore the wonders of Scottish wildlife without having to dive in yourself. In Oban, there are a whole manner of tours, including the basking shark day tours. The tours available will depend on the time of year that you visit open. 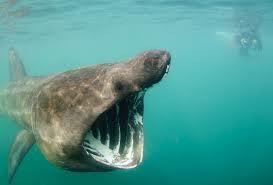 April-June is prime time for basking shark tours and is probably the best time to go in one of these tours. But don’t worry, if you’re going a little later in the year you can catch the late season, which usually occurs between September and October. If you have a love for wildlife, but don’t fancy a boat trip or you aren’t going in peak basking shark season, then the Scottish Sea Life Sanctuary may be a great option for you. Home to some amazing sea life, this sanctuary includes aquariums with schools of beautiful fish, seals (which you can adopt). 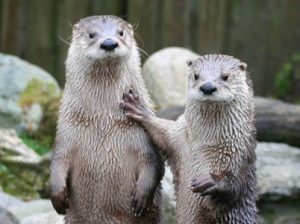 There is also a whole host of experiences such as seal and otter feedings, as well as educational talks. This is also a great experience for parents with kids and anyone who loves wildlife. As mentioned before, Oban is home to a port that connects the Scottish mainland to much of the Inner Hebrides. Due to this, there is an opportunity to visit some of the beautiful islands that are just a stone throw away from Oban. With regular sailings, it is possible to visit Mull, Lismore, Coll and Tiree (to name a few) for day trips. Scotland has some of the most beautiful and scenic islands on the planet so it would be a shame to miss out, especially as it’s as easy as jumping on a CalMac Ferry. So there we have it, just some of the many things that you can do when visiting Oban. 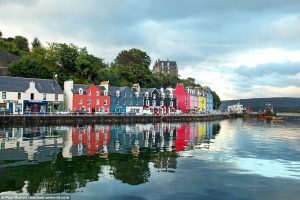 There is something for everyone when visiting Oban, everything from action and adventure to relaxing and taking in the local history with Oban malt whisky tours.